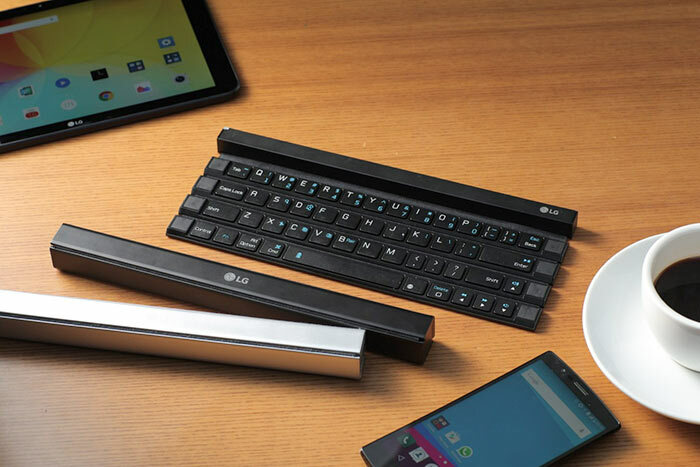 LG has developed a "full-size keyboard for pockets," called the LG Rolly. 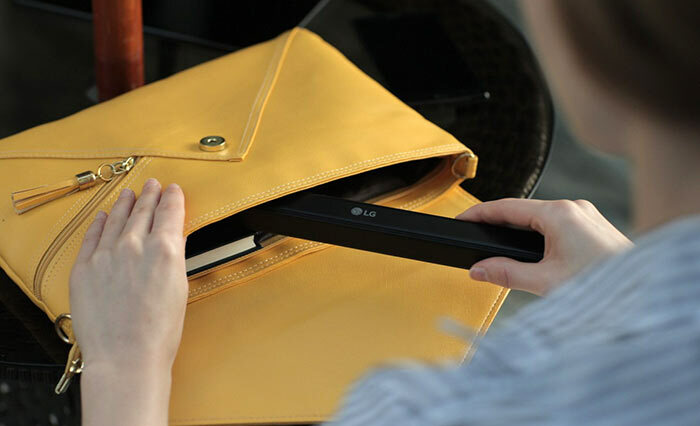 Aiming to increase its share of the mobile devices accessory market, LG's new ABS constructed keyboard rolls up along the four key rows to create an easy to carry 'stick' that can fit in pockets, bags and purses. 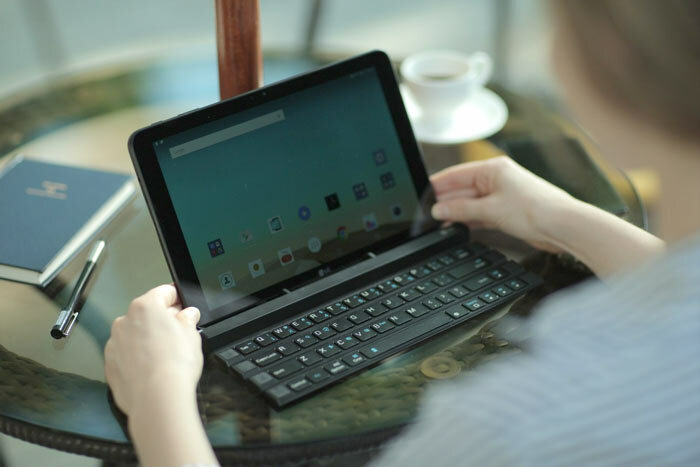 Seo Young-jae, an LG Mobile devices VP, said that the Rolly keyboard is just one of a number of premium input devices it will be introducing over the coming months. It will debut among other LG devices at the IFA show in early September. It is claimed that typing on the LG Rolly is "extremely comfortable," as it boasts a 17mm key pitch, only 1mm reduced from that employed by most desktop keyboards. It offers tactile feedback in a different class to previous roll-up keyboards made from flexible silicone materials. No sizing information is given for the compact rolled up keyboard but the stick appears to be about 10-inches (25cm) long. When you roll out the Rolly you can extend two "sturdy arms" which act as a support for a smartphone, or tablet up to 10-inches, in a typical clamshell laptop on desk style position. As the Rolly unfolds it turns on and auto-pairs with up to two devices (toggle the input focus via a dedicated key). The LG Rolly uses one AAA battery which can power it for about three months of average use. As for availability, the LG Rolly will arrive in the US in September followed by key markets in Europe, Latin America and Asia in the fourth quarter. Local pricing will be announced when launched in the respective regions.